The Mustangs only trailed the Pioneers for one point in the second set. Smashbro club comes together as a gaming community. Sports editors Eric Stubben and Allison Edmonds challenge you to beat their brackets — for a prize. Cal Poly men’s soccer advances to second round of Big West tournament. After defeating U.C. Irvine 1-0 on Saturday, the team will face CSU Fullerton on Wednesday night. 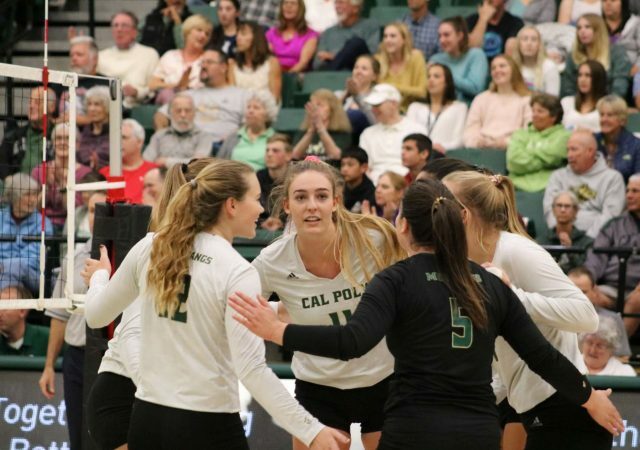 In the second episode, Cal Poly begins Big West Conference play and faces rival UC Santa Barbara. They made the Big Dance. Now it’s time to prove it wasn’t a fluke. Cal Poly hosts UC Irvine in a Big West Tournament game at Alex G. Spanos Stadium, Thursday night.